How long does it take to review a bike? 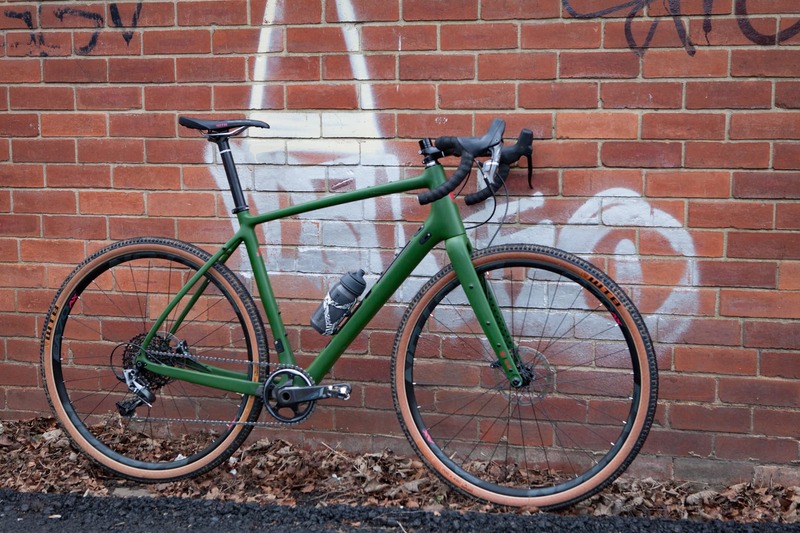 Well, at gritcx, we like to spend at least a month on one and ideally longer. That’s not always possible, but we’ll always tell you how long we test our kit for. Another question: how long does it take to form an opinion of a bike? Tricky. 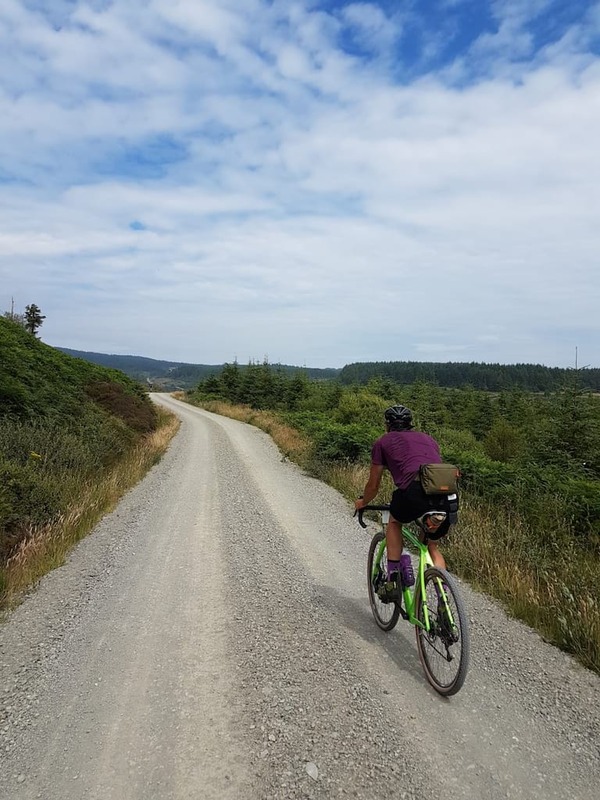 I don’t mean very first impressions – that “ooh, I like that new bike lust”, or the “ew, that looks weird” gut reaction – but, how long does it take to make a reasonable judgement about how a bike rides and more importantly. Is it good (for me)? That paint is even more luscious in real life, but you pay for it. That was exactly the question I had to answer at this weekend’s Grinduro on the Isle of Arran. The weather was kinder than last year, and everyone was kicking back and sunbathing when I arrived and collected my box-fresh face bike the day before race day. 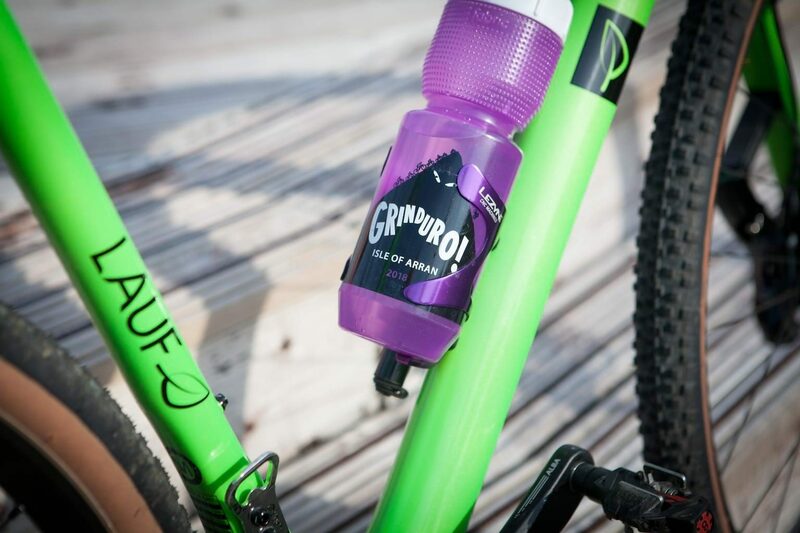 Luckily the Grinduro course is a perfect blend of every flavour of fireroad (from grit to chunky aggregate), rocky descents, steep climbs and flowing woodsy singletrack. If I wanted a Top Gear test track style course for gravel bikes, this would be it. 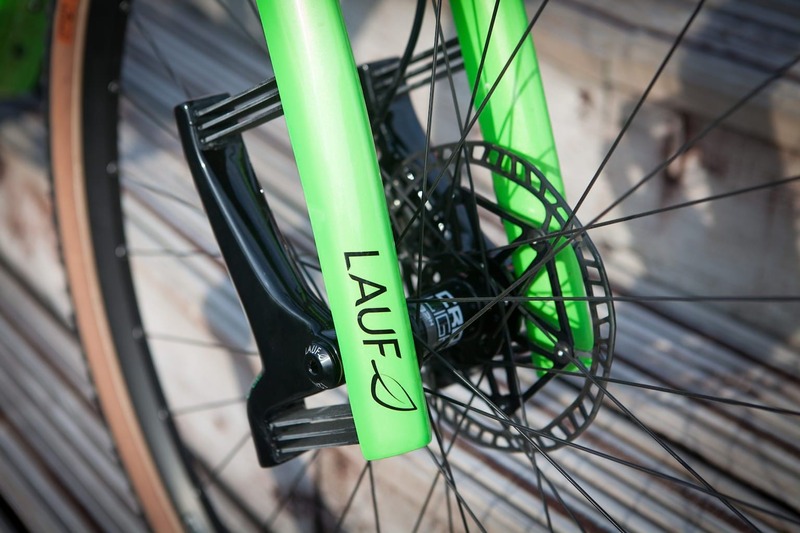 You may well have heard of Lauf before. 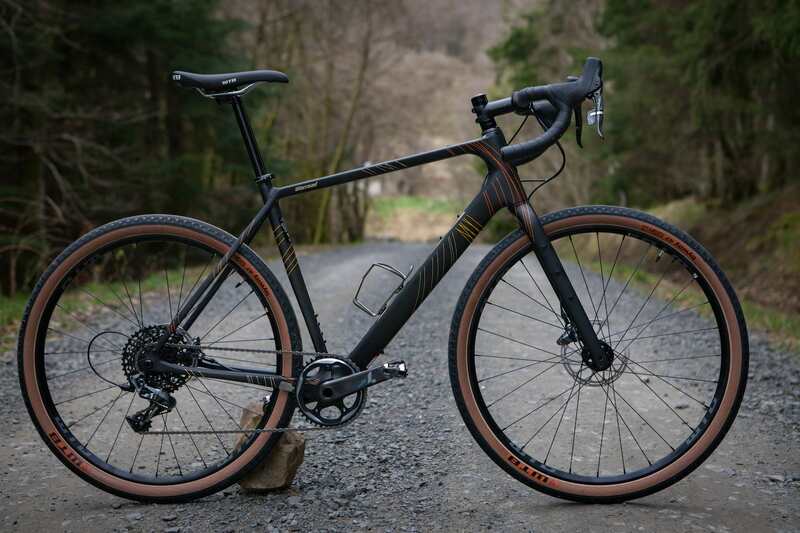 The Icelandic company has been making its leaf spring suspension fork for a few years now, and we’ve reviewed the gravel version – the Grit. I guess when your winters are perpetual darkness, it gives plenty of time to sit behind the drawing board and come up with a few new ideas. 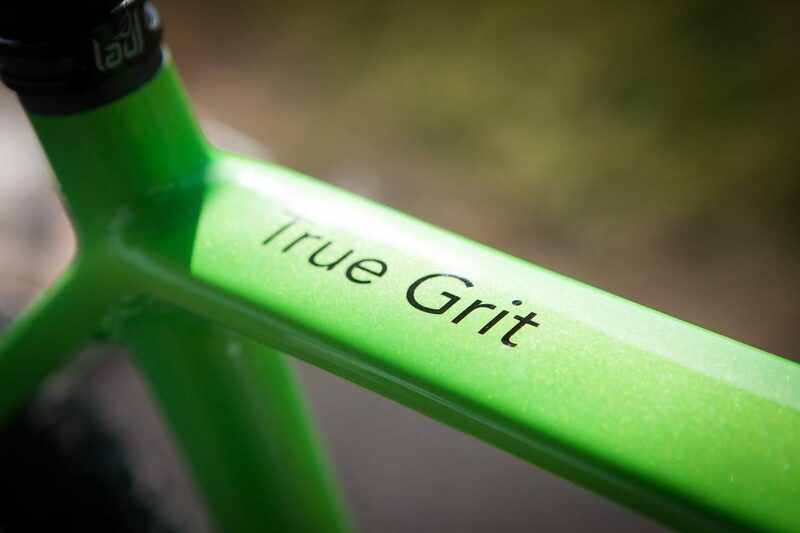 The True Grit frameset was launched a year ago. As Lauf was no longer designing just a fork, but an integrated package, it was able to make the True Grit specifically designed around their fork technology. It also took the opportunity to take advantage of ongoing R+D in its fork spring design, which allowed it to use 7mm shorter springs with no impact on durability or performance. 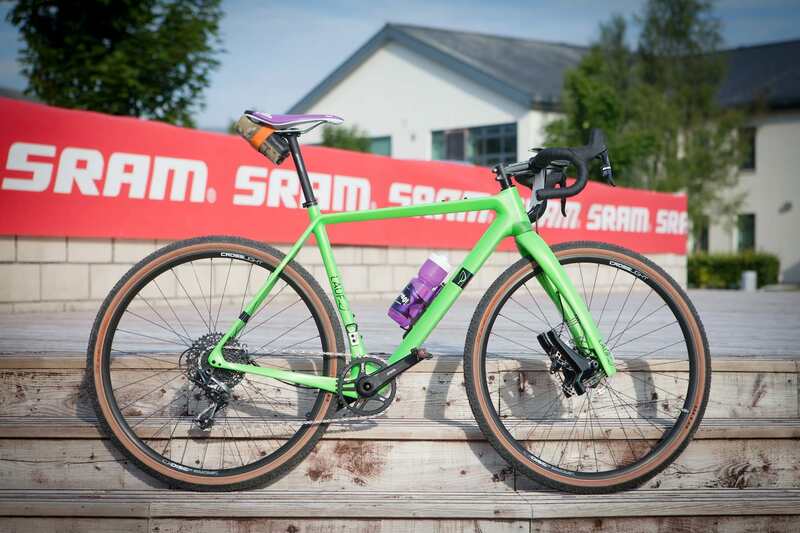 The result is a new fork to match the frame – the Grit SL. According to Lauf, it has gained further lateral and fore/aft stiffness, while also losing around 50g. We would certainly welcome the extra stiffness – it was one of the very few criticisms of the original Grit fork we tested. Will the Grit SL fork correct some of the niggles we had with the original? 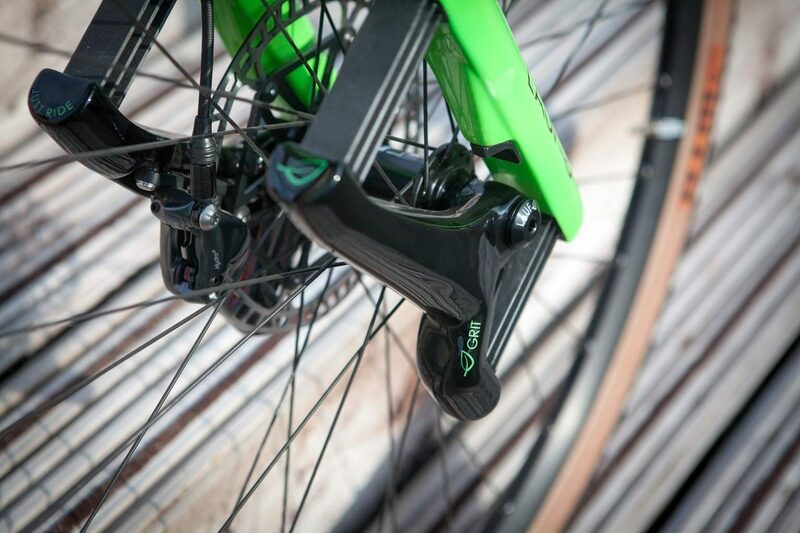 The fork retains 30mm of undamped travel, using six glass-fibre leaf springs on each leg, suspending the axle. It is a brilliantly simple design, with no service requirements or parts to wear out. 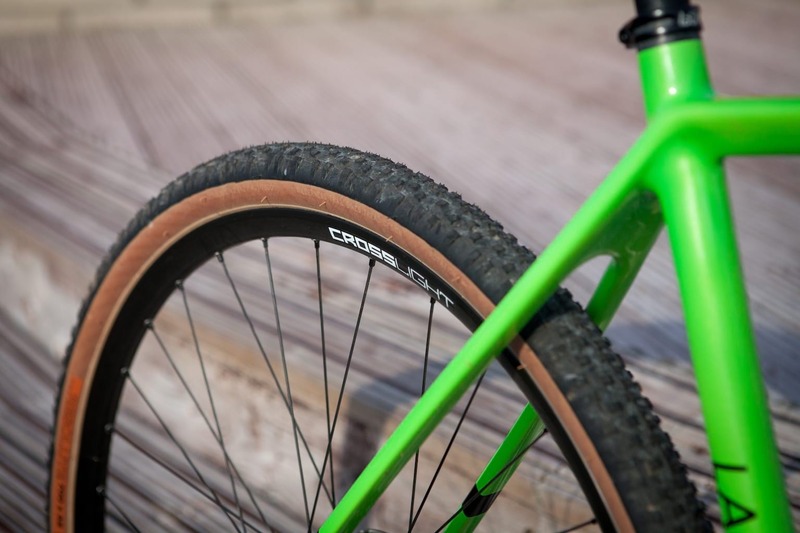 The theory behind the fork is that it should not only add comfort, but increase traction as the wheel stays glued to the ground over chattering bumps. Slender stays are extremely comfortable. The frame is, unsurprisingly, carbon fibre and has got some good practical features: the bottom bracket is good old threaded BSA for example. Lauf decided the extra cost to manufacture was worth the durability and ease of maintenance, and we applaud them for the decision. The True Grit frame has embraced the more useful current standards though. 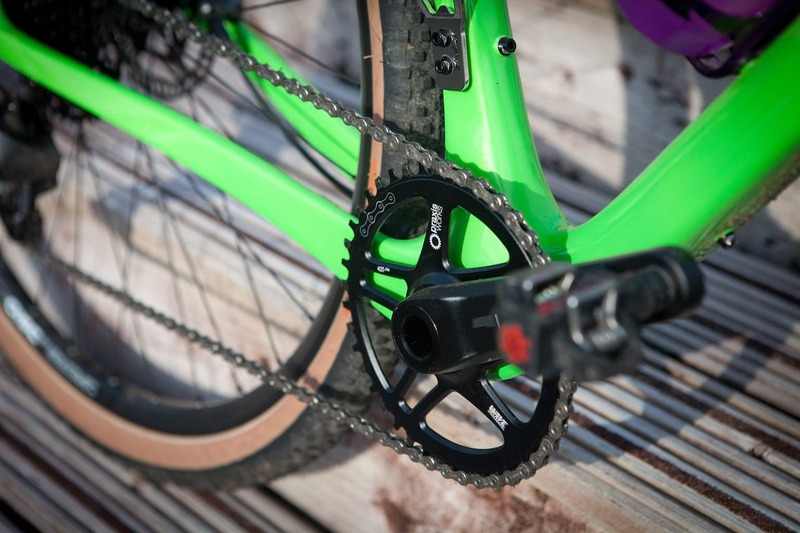 It features 142x12mm thru-axle, flat-mount disc-brakes and tapered headtube. There are 3x bottle cage mounts, and a mount on the top tube for a bento box – handy for carrying more water during our long hot summer. There’s plenty of clearance for 700*45c tyres, despite fairly short chain stays. Cabling is kept tidy with internal routing, and you might already have spotted the bottle opener attached to the front mech mount. 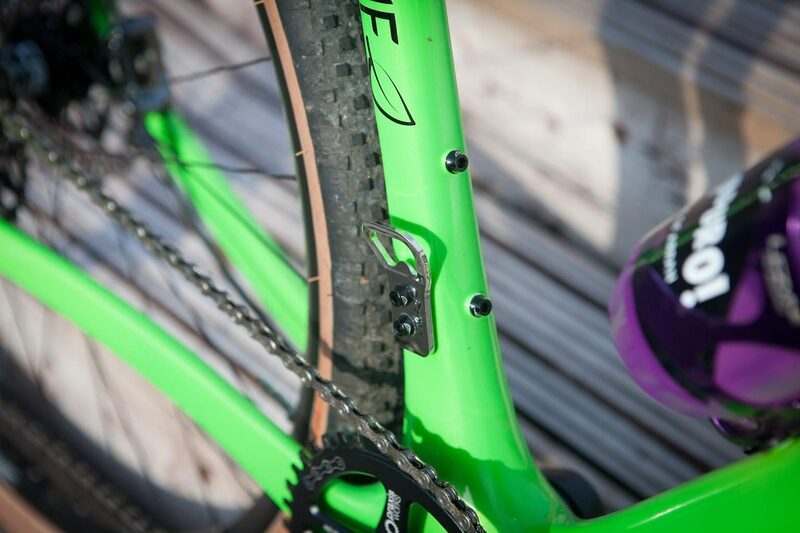 The medium frame that we tested weighs just over a kilo. This bike came showcasing some of Upgrade’s other brands wares. 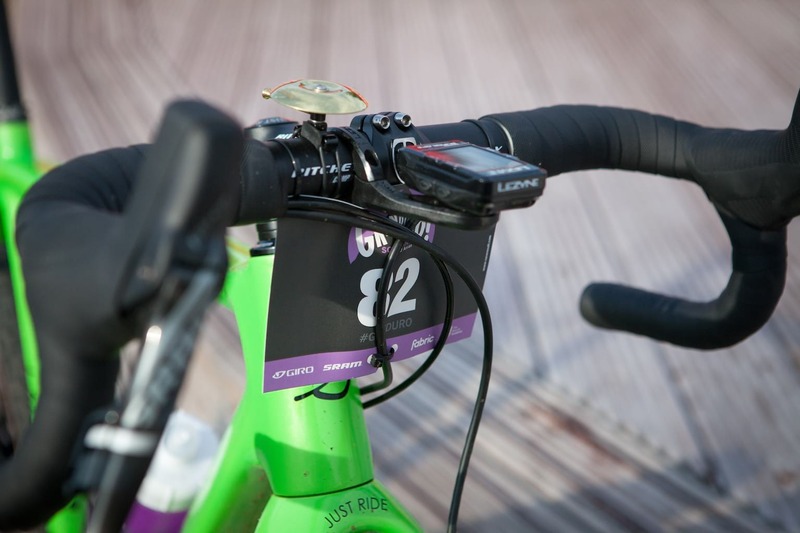 We therefore had Praxis cranks, Kinesis Crosslight Disc wheels, Ritchey finishing kit and Lezyne accessories hanging off the luscious green machine. 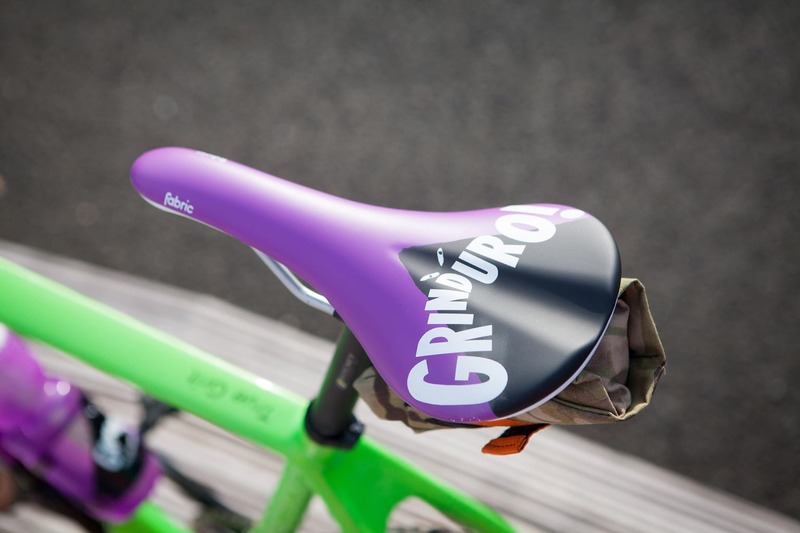 It seemed only right to fit a Fabric “Grinduro” branded Scoop saddle. Yeah, but how does it ride? First things first, this medium bike was a little small for me. I’m 6ft tall and a large would be better for me. I felt a little cramped, which is obviously not the fault of the bike. That issue out of the way, and the Lauf was a tonne of fun. My first impression was that while the fork obviously does take some sting out, the rear of the bike is also extremely compliant. I definitely stayed seated for longer than I might have done on a stiffer bike. This translated into some real ride benefits. The course was so dry that many of the climbs were very loose. Staying seated was pretty much a necessity to keep traction. 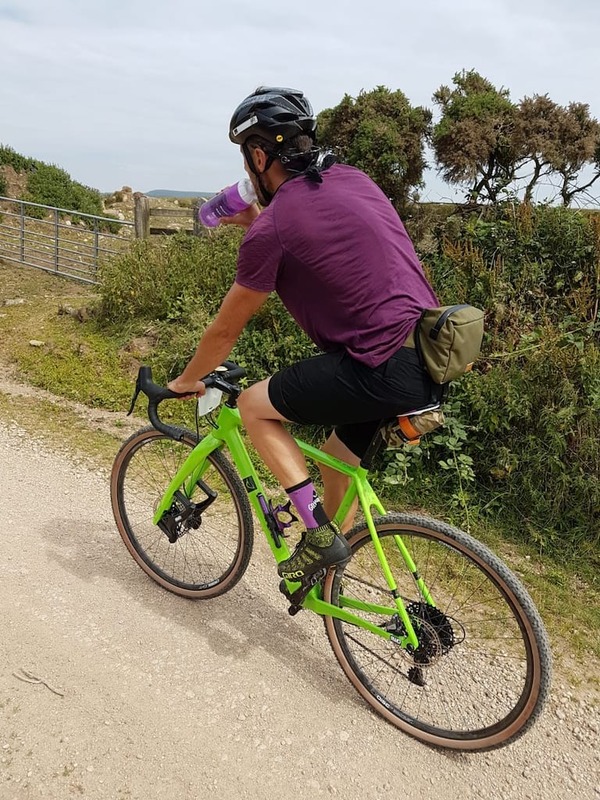 I’m in danger of falling over the vertically compliant, laterally stiff cliche, but there was little hint of flex when out of the saddle climbing – from the rear at least. What little punch my hangover inflicted legs had left was rewarded with a healthy push of forward motion. I was really interested to see how the Grit SL forks performed compared to my original versions. I was a little disappointed here. I’d had high hopes that the new design would have removed some of the flex that I noted first time around. It might be reduced, but there is definitely more flex than a rigid fork for example. It is noticeable in a few different scenarios. Out of the saddle climbing prompts the fork to twist under load slightly, but it is quick and easy to adapt to. Punching the front into bermed corners and the twist is more noticeable. More importantly though, all of the good points of the Grit fork are carried through to this iteration. It massively reduces fatigue over rough tracks and ground. Trail buzz is isolated and smoothed. As the terrain grows rougher still, it is still possible to carry more speed, with more control than on a rigid gravel fork. It behaves a little strangely when it bottoms out, rebounding without any damping, but even that is easier to control than the equivalent hit with a fully rigid fork. I know some people who don’t like the isolated feel that the fork offers, but I personally welcome how it allows me to ride – with more purpose, confidence, fun and speed on terrain that pushes the definition of gravel. As a whole package, the bike worked very well. The build provided by Upgrade was practical and reasonable value, without being super light and blingy. Plenty of weight could have been saved from the wheel and crankset should you wish, but I’d be in no hurry to upgrade. It was a long hot day in the saddle, but one where I appreciated my choice of bike, and it felt like the best possible tool for the job. Depending on your riding, you may or may not welcome the Lauf Grit SL fork, and realistically, the frameset package obviously makes little point if you aren’t interested in the front end. 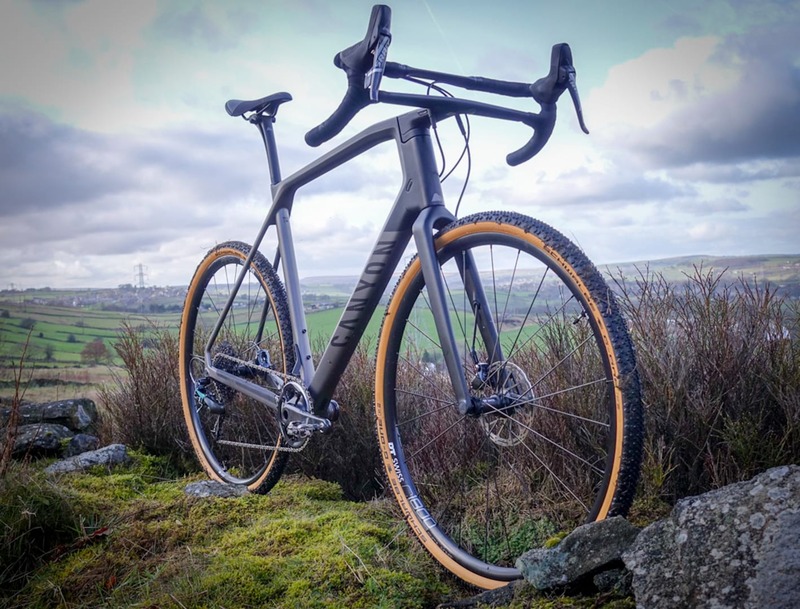 For the kind of “gravel” that I enjoy riding, then I’d very happily use one for much longer than a single ride, despite the odd niggle with the fork. A fitting complement to Lauf’s grit fork, allowing you to go way beyond the fireroad in comfort.